AVA Digital Awards: WRA website wins Gold! 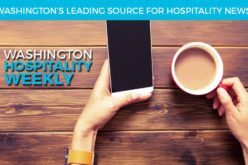 The Washington Restaurant Association is pleased to be receive Gold recognition – the highest honor – from the AVA Digital Awards for its website. The award is based on evaluation by the Association of Marketing and Communication Professionals (AMCP). There were approximately 2,500 entries throughout the United States. The AMCP consists of several thousand communications professionals so it is clear the WRA is being honored by its peers. Judges are industry professionals who look for companies whose talked exceeds a high standard of excellence and whose work serves as a benchmark for the industry. The WRA website serves as a portal for the association’s more than 5,500 members. From the site members of the organization can access videos, e-news articles, updates, a virtual magazine and a radio program that focus on specifically restaurant needs. Additionally, the site is chock-full of helpful links to programs that help restaurants save money and stay in businesses. These awards are part of an international competition that recognizes excellence by creative professionals responsible for the planning, concept, direction, design and production of digital communication. Work ranges from digital engagement campaigns – audio and video production, website development, social media interaction – to mobile marketing. This is a very proud accomplishment for the WRA. “Being recognized by the Association of Marketing and Communication Professionals for one of their top honors places warestaurant.org as one of top association websites in the country and we look forward to building on that success,” said Nepomuceno. Restaurants serve. The Washington Restaurant Association has served its members and helped them succeed in business for 86 years. Restaurants are the largest private employer in the state, with more than 218,000 employees. Washington’s 13,832 restaurants annually contribute $15.1 billion to the state economy, generate $757 million in state taxes, and pay more than $3.8 billion in wages each year. Washington restaurants are the cornerstone of the economy, vital to communities and fundamental to careers. Learn more at www.warestaurant.org.